The proposals set out today include pay cuts and changes to working conditions. IRISH RAIL WORKERS say they will have to consider a recommendation released by the Labour Court today in a bid to end the long-running dispute about money at the company. The majority of unions at the company rejected the proposals put forward by the LRC in February which would have seen pay cuts ranging from 1.7 per cent to just over 6 per cent, lasting for up to three years. Today’s recommendations are somewhat similar to the LRC plans but workers said that it has taken on board some of the issues they had with the previous proposal. Irish Rail has said major changes to the company are needed to save money and ensure that it stays financially viable. “This Labour Court recommendation does take account of some concerns expressed by our members in relation to the possibility of offsetting some costs from non-payroll areas and a guarantee in relation to the duration of an agreement,” said Paul Cullen of SIPTU. “It is also noted that the recommendation includes a reduction in payroll. It should also be noted that our members have already rejected pay cuts in a previous ballot”. SIPTU workers at the company are set to meet on Thursday ahead of a ballot of all members on whether or not to accept the recommendations. 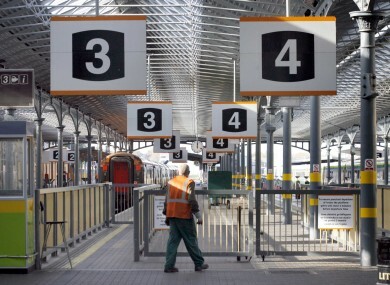 Email “Mulling it over: Labour Court releases its plan to end Irish Rail dispute”. Feedback on “Mulling it over: Labour Court releases its plan to end Irish Rail dispute”.